ABC5 News reports a Rockland industrial accident severed a 66-year-old man’s arm at the elbow after it was caught and pulled into the gears while he was working on a machine. Massachusetts workers’ compensation lawyers know amputation injuries are common across a number of New England industries, including manufacturing and farming. While many resources for recovery exist for victims of traumatic amputation, a comprehensive legal and medical approach is best deployed when it comes to obtaining all of the benefits to which a victim is entitled. In this case an employee used a t-shirt as a makeshift tourniquet until medical help arrived and transported the man to South Shore Hospital in Weymouth. The Boston Herald reported that quick thinking Rockland police officers saved the man’s life by providing additional emergency medical care. Amputation injuries are much more common than many people realize. The Massachusetts Amputee Coalition reports there have been more than 55,000 amputations performed at Massachusetts hospitals over the past 20 years. It is estimated that 1 in 200 individuals in the United States will suffer some form of amputation injury during their lifetime. Outside of the military, amputation injuries are most likely to occur in traffic collisions or while operating heavy machinery, and are particularly common among industrial, manufacturing and agricultural employees. At least 30,000 traumatic amputation injuries occur reach year in the united states. About 2 million U.S. residents are living with limb loss. Upper-limb amputation is by far the most common, accounting for more than two-thirds of traumatic amputation injuries. Nearly 80 percent of traumatic amputation victims are men. A prosthetic limb can cost as much as $50,000, and even those of the highest quality are only meant to last 3-5 years. Proper access to treatment, rehabilitation and prosthetic care is critical, with Disabled World estimating every dollar spent on rehabilitative care results in savings of $11 on welfare and disability benefits. 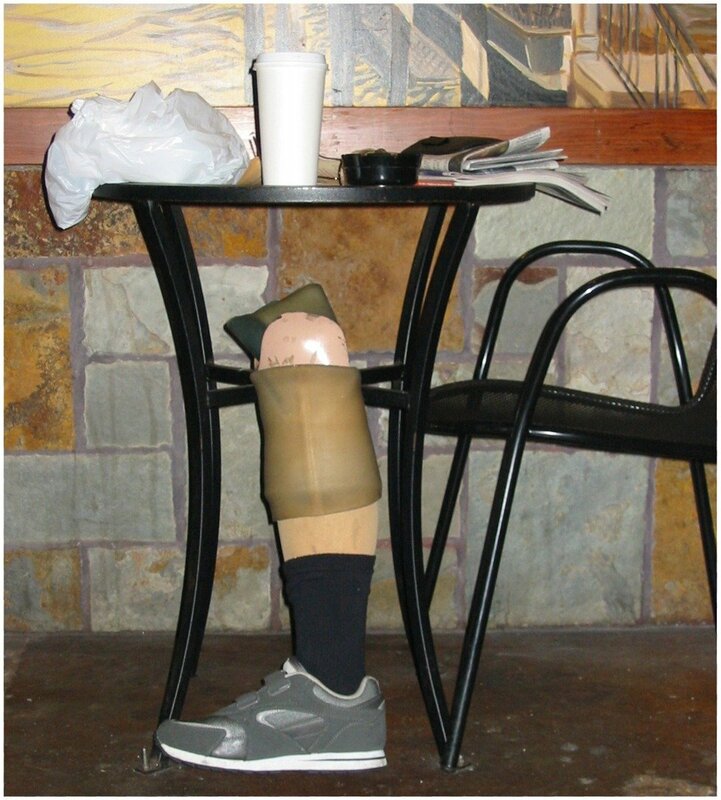 Those who do not have access to proper prosthetics care within two years of an amputation injury are at greater risk of poverty, depression and health concerns like obesity and heart disease. A work injury lawyer in Boston can review all of the facts and circumstances of your injury to determine all available means of financial and physical recovery. Worker’s compensation benefits should be available almost immediately for employees who are injured on the job. These benefits are meant to provide for medical care, rehabilitation and a portion of lost wages. However, employees dealing with moderate to severe injuries are always best served by seeking the representation of an experienced Massachusetts workers’ compensation lawyer, as these can be complex cases and employers and insurers often make it difficult to obtain all of the benefits to which you are entitled. In all cases of life-altering injuries, such as amputation, an experienced law firm should always be contacted as soon as possible after injury. Employees who are eligible to receive workers’ compensation benefits, are generally prohibited from suing an employer for additional damages, except in cases of intentional injury or gross negligence. However, in many cases a third-party, such as an equipment manufacturer, can be found partially liable and may be sued for additional damages. Seeking a law firm with extensive experience in personal injury litigation, workers’ compensation, and Social Security Disability Insurance, can best identify and pursue all of the benefits to which your are entitled. In some cases, it may be necessary to establish a trust, so that any personal injury settlement is not counted toward your eligibility for government assistance programs, including Social Security Income (SSI). Amputation of one or both feet above the ankle. Amputation of one hand and one leg at or above the ankle. Amputation of one leg at the hip (hip disarticulation). In addition to SSDI, those who qualify with a presumptive disability may also be qualified for Social Security Income, which provides additional benefits, including Medicaid, to the low-income disabled. For other amputation injuries, the Social Security Administration will access your “residual functioning capacity.” Your RFC will take into account functionality with prosthetic assistance, as well as your ability to work at sedentary activities. This is where having an experienced SSDI lawyer in Boston can be critical, as applicants can still be disqualified, despite an amputation injury, if the Social Security Administration determines you can perform any available job, not just a job in your career field or the work you did previously. The Occupation Safety and Health Administration warns machines in motion create the highest risk for amputation injuries, including rotating flywheels, gears and couplings; reciprocating parts that move back and forth or up and down; and transversing parts that move along a continuum. Safe-guards are routinely built into machinery to protect operators from moving parts, although they are often removed or altered by companies to increase efficiencies. 29 CFR Part 1910 Subparts O and P cover machinery and machine guarding. 29 CFR 1926 Subpart I covers hand tools and powered tools. 29 CFR Part 1928 Subpart D covers agricultural equipment. 29 CFR Part 1915 Subparts C, H, and J; 29 CFR Part 1917 Subparts B, C, and G; and 29 CFR Part 1918 Subparts F, G, and H cover maritime operations. OSHA also publishes a comprehensive outline of machine-guarding standards. An amputation injury is life-altering. However, comprehensive recovery options are available, including world-class improvements in prosthetics developed over the last 20 years for military veteran amputees. Seeking qualified legal help at the outset of injury can put you and your family in the best position to make a complete financial and physical recovery. At the Law Offices of Jeffrey S. Glassman, we are dedicated to throughly investigating the causes of your accident and pursing all of the damages to which you are entitled under the law. Industrial Amputation Injuries, Occupation Safety and Health Administration.